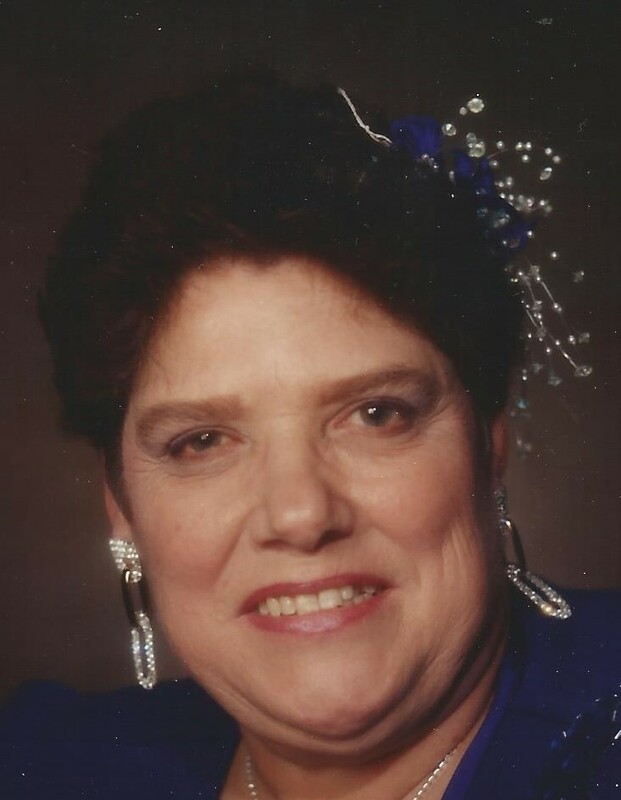 Jeanette (Jen) Adams was a central figure in sports, particularly at the Minor level in St. John’s where she, along with her brother Wally Layman, was instrumental in establishing the Cabot Street Athletic Association, an organization that focused on a variety of sports. The main objective of the Association was to foster healthy lifestyle choices for its members. Her proudest moment was when the Cabot Street Athletic Association established a Minor Softball League in 1979 for kids 8-15 years of age. League registration was free and was open to anybody who wished to join. Uniforms and awards were also made available at no cost. The awards were constructed to acknowledge not only the accomplishments of highly skilled players, but also put the same focus on less skillful players who achieved to the maximum of their ability. Essentially they had the insight and vision to create opportunity for involvement that had no judgement or criteria. As a result of countless meetings with Municipal and Provincial Officials, they converted a grassy meadow into a Children’s Softball Field that became a model of success for inner city sport. Jeanette was also heavily involved with the Royal Newfoundland Constabulary (RNC) in the creation of the Constable William Moss Memorial Softball Tournament in 1980. For years she was a key organizer and promoter of the event. She was a fixture in the canteen and was known to provide a free hot dog and/or drink to those who she knew could not afford to purchase them. The first Moss Tournament consisted of four inner-city boy’s teams and has since grown to include boy’s and girl’s from U12 to U16. In 2016, the Moss Tournament consisted of 38-teams. It is believed to be the largest Minor Tournament east of Ontario. Once can only imagine the number of players that have participated in the tournament over 38-years and all because of the vision of the RNC iN partnership with outstanding individuals like Jeanette Adams. Joe Ansara played a major role in the establishment of Softball Newfoundland and Labrador on a permanent basis during its early years. While softball in the Labrador City-Wabush area especially benefited because of his involvement, his clear and straight-forward approach to situations was valuable in putting softball together at the provincial level from 1964 to 1969. He was a member of the provincial softball executive in a vice-president position for 1967, 1968 and 1969. The existence of the St. John’s Senior Men’s Softball League for 51 years would not have been possible without the amazing day-to-day contributions of Bill Barron. His devotion to softball, and especially the St. John’s league, is unbelievable. In 1957 when the league played its first game he was contributing, and as its 51st season passed in 2007 he was still its major benefactor. 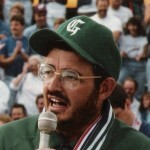 His commitment is such that he played fine third base, coached, umpired whenever necessary, was a knowledgeable color commentator and statistician during its coverage period with Cable Atlantic and scored and provided detailed statistics for media on a day-to-day status for more than 4,000 games. Bill Barron could certainly be tagged “Mr. St. John’s Softball.” In addition to his great service to the St. John’s league, he has devoted countless hours to recording softball history. He owns more than 1,100 softball photographs, has compiled the complete statistics for more than 1,500 players who have appeared in even one game of the St. John’s league and has collected extensive details of a vast number of other male and female players and teams. His service to the sport includes some vital work as provincial treasurer when finances were of great importance to the very survival within Newfoundland and Labrador. Nobody has served Newfoundland and Labrador softball more or better than Bill Barron. Like his namesake in St. John’s, Placentia’s Billy Barron has made outstanding personal contributions to softball in the Placentia area. With special emphasis on youth ball and especially in the early days of the sport within the province, his contributions, financial as well as time, made it possible for hundreds of Placentia area residents to not only play but to excel in softball. It would be fair to declare that without his contributions Placentia Inter-town softball would not have produced the extremely high number of stars that it did. He was an important factor in providing the foundation on which Placentia softball was built. Locally, the Placentia team was his pet project and he led it extremely well in a highly competitive league that included Fox Harbour, Dunville, Freshwater and Jerseyside. In many ways, Billy Barron was Placentia Inter-town softball during the 1960’s. Martin Blake, born in Whitbourne, was a tireless worker for softball in the Corner Brook area, serving on various executives in a variety of positions for more than ten years. During his years of service he was involved with the growth of the Corner Brook Softball Association taking it from six teams to 36 teams and bringing the financial position of the group from a $600.00 budget to a $20,000.00 plus budget. He served on various organizing committees for tournaments held in Corner Brook and was on the committee which helped secure lights for a diamond. He coached and umpired for many years as his overall contribution to the sport in Western Newfoundland was valuable and considerable. Ray Bowe played softball in most provinces of Canada as well as in Europe while he was serving in the C.A.F. (Air Force) for 26 years. Because of his speed, Ray was rated as one of the best center fielders in the C.A.F. (Air Force). During his tour of duty overseas at C.A.F. Base Marville, France, he started umpiring and went to the national level, becoming a Level IV umpire. He umpired two National championships. 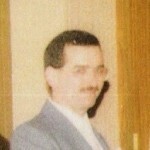 It was in 1979 he was hired as the technical/executive director for Softball Newfoundland and Labrador. Listed is a chronology of events related to his 16 years of employment from October, 1979 until his retirement in September of 1995. 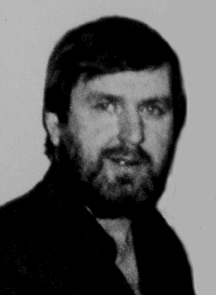 1979–hired as technical/executive director for bowling/softball and was instrumental in supporting the Softball Newfoundland and Labrador executive in their bids to host nine national championships, including the Midget Boys in Clarenville and the Senior Men’s Slo-Pitch in Marystown; as well he was instrumental in supporting the executive of Softball Newfoundland and Labrador in securing two World championships: the 1994 World Women’s championship and the 1997 World Youth (Boys) championship. During his tenure with Softball Newfoundland, Ray was also one of the driving forces behind the building of the new Caribou Softball Complex located in Pleasantville. 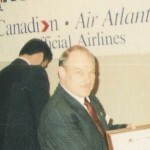 In 1997 he was inducted into the (C.A.F.) Canadian Armed Forces Sports Hall of Fame. In 2001 he was inducted into the (H.N.L.) Hockey Newfoundland and Labrador Hall of Fame in the player/builder category. In 2003 he was awarded the Queen’s Golden Jubilee Medal for his volunteer efforts to sports over the years. Mike Breen contributed outstanding service as an executive and an umpire to softball within Newfoundland and Labrador. He played some softball during the 1940’s but it was as an umpire and administrator that he really excelled. He was provincial treasurer for eight years and served in the same position for three hosting committees for national championships. He served for two years as Softball Canada Commissioner for Newfoundland and Labrador and umpired in three national championships. During his 22-year softball umpiring career he served in every executive position for the St. John’s Metro Umpires Association and provided valuable leadership to the improvement of softball umpiring in general. Prior to becoming involved in softball, he contributed greatly to St. John’s baseball, especially in officiating. Transferred to St. John’s by Canada Packers in the early 1960’s, Reg Caughie moved directly into the local softball scene, first as a player and team delegate and then in a long-lasting administrative role. 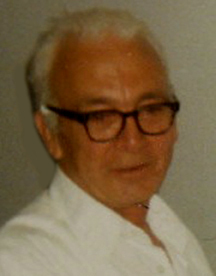 He served as president of the St. John’s Senior Men’s League during his time on the executive. 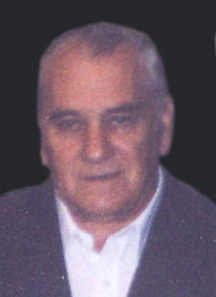 He was elected vice-president at the founding meeting of Softball Newfoundland and Labrador in 1963 and moved into the president’s position in 1968 serving one year prior to being transferred by his company to Halifax. That move did not halt his involvement with softball in Newfoundland and Labrador. Born in Quebec, he was bilingual and in more than ten national events hosted in St. John’s, including the 1977 Canada Summer Games, he returned to St. John’s to provide the English and French for announcing when necessary. In addition to his various contributions on an administrative level, he was an excellent umpire for several years. Bernard Connolly’s role in establishing minor or youth softball within Newfoundland and Labrador was extremely valuable and extremely important. He organized the first male minor championships in 1965 in the Conception Bay Central area and was associated with just about every minor tournament or championship between 1965 and 1974. Minor softball in Conception Bay Central especially grew and improved because of his efforts and the impressive successes and the large number of top players who came from the area were the results of his wide range of contributions during a 15-year period. Selected as Softball Newfoundland and Labrador’s Male Executive of the Year for 1966, he managed the CBC All-stars who won the 1973 provincial junior championship. Ed Costigan combined a playing, coaching and organizing softball career that ranks with any career in Newfoundland and Labrador. After a fine playing career, he jumped into coaching and organizing, citing this work as thanks to the residents of Conception Bay Central who provided him with exceptional support when he was hit with medical troubles. One of the better players to come out of CBC, he performed at top level in local and provincial competition, especially for Harbour Main in the tough CBC senior league. He enjoyed rewarding play at the provincial level as well. As a coach, he led the CBC all-stars to the provincial junior male championship in 1973 and 1974 and coached at the 1974 Canadian junior male championships. CBC teams he coached won the 1986 provincial boys bantam crown and the 1988 provincial boys midget title. 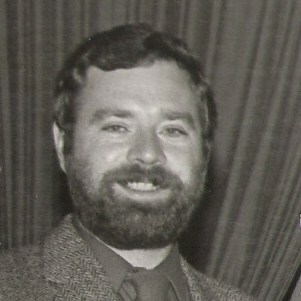 While he served as CBC senior league president in 1980, his great work within CBC minor softball earned him the Bernard Connolly Memorial Trophy as Softball Newfoundland and Labrador’s minor executive of the year for 1984. Overall, the general minor softball program he installed in CBC was responsible for developing a very large number of skilled and talented players who excelled at all levels of competition. Regarded as the “father of softball” in Conception Bay North, Langdon Critch devoted 20 years to the sport in his native community. On a day-to-day basis he served all levels of CBN softball extremely well, contributing in a wide range of positions and with a wide range of responsibilities. He was especially effective within CBN minor softball, both male and female, and coached the Conception Bay North female all-stars to the 1977 provincial midget championship. John Dawe followed a very successful senior softball career with an equally successful coaching career. In fact, he can lay claim to having won a national competition medal, both as a player and as a coach. His national playing medal was a bronze with the Junior 50’s and his national coaching medal, also a bronze, came with St. John’s senior entry when the nationals were held in St. John’s. As a coach he contributed greatly to players and teams at all levels of competition. They ranged from Virginia Park’s team in the Constable Moss Tournament to the St. John’s Junior 50’s to East End Club of the St. John’s Ladies League. Teams he coached won provincial and league titles. With the East End Club, he led it to two league championships and one provincial title. He coached Newfoundland and Labrador’s softball team at the 1993 Canada Games in Kamloops, British Columbia. As a coach in the St. John’s Senior Men’s League, his club won two league championships and entered two national tournaments. He was a member of the organizing committee for the 2007 Canadian senior men’s championship in St. John’s. Greg Devereaux’s great contributions to softball were mostly at the minor level and especially important in the Conception Bay Central area during a period when it was producing a large number of very talented players. CBC was a hotbed of softball of all kinds but especially minor. Working with his good friend Bernard Connolly, he helped build a minor system that was an example for others. 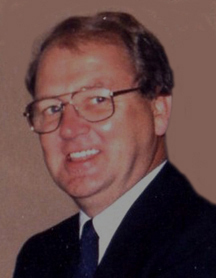 His contributions covered every aspect of the system from driving players to games and practices, to playing a major role in fundraising to organizing local and provincial tournaments. Much of the great success that CBC accomplished was due in no small way to the efforts and time that Greg Devereaux provided. A tough catcher during his lengthy and rewarding playing career, especially with Freshwater in the Placentia Inter-town League, Charlie Dollomont was one of the very early builders of softball within the province. He was actually a delegate to the founding meeting of the Newfoundland Amateur Softball Association in 1963. 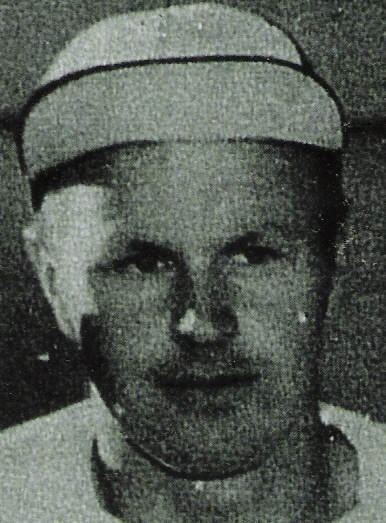 In addition to playing for Freshwater, he enjoyed a great deal of success with the Placentia Intertown All-stars, earning a reputation for a strong arm and clutch hits. This was especially true for exhibition and tournament games with teams from the U.S. Military Base at Argentia. Elected to the first provincial softball executive, he continued his leadership and contributions when he moved first to Churchill Falls and then to Happy Valley-Goose Bay. Jim Dunphy has been coaching at the Local, Provincial and National levels since 1985. Over this 30-year period he has coached teams to numerous championships at most levels of play from Minor to Senior locally, as well as at the Junior and Senior Canadian Championships. His coaching style has always brought out the best in his players and many of them have gone on to play at the National and International levels in both Minor and Adult Competitions. His players have shown him great respect and in doing so have paid him the highest of compliments including “the best to ever coach the game”. 2 Provincial Pee-Wee Championships: 1985 & 1993. 3 Provincial Midget Championships: 1990, 1998 & 1999. 5 Junior League Championships: 1987, 1991, 2001, 2003 & 2004. 7 Swing Into Summer Championships: 1999, 2005-2009 & 2011. 9 Junior Provincial Championships: 1986-1989, 2001 & 2003-2006. 4 Intermediate League Championships: 2006, 2007, 2008 & 2010. 4 Intermediate Provincial Championships: 2006, 2007, 2008 & 2009. 2 St. John’s Day Championships: 2006 & 2009. 1 Senior League Championship: 2007. 1 Provincial Senior Championship: 2009. 2003 North Atlantic Marine (Provincial Senior Champions). 2012-2014 Kelly’s Pub Molson Bulldogs (League & Provincial Titles: 2013-2014). 2 Years: 1990 & 1999. 1 Medal: 1 Bronze in 1999. 16 Years: 1986-89, 1992-93, 2000, 2002-03 & 2005-2011. 5 Medals: 1987-Silver, 2003-Bronze, 2006-Gold, 2007-Silver & 2009-Gold. 4-Years: 2004, 2007, 2009 & 2014. 2006 Named Softball Canada Coach of the Year. 2009 Named Sport NL Coach of the Year. 2013 Bob Whelan Memorial Award Recipient. 7 Medals At Canadian Championships. 1 Gold Medal At Eastern Canadian Championships. While Jim’s incredible winning coaching record speaks for itself, one can only imagine the time and dedication that he has given to the game. Further, one can only imagine the impact that he has had on so many players young and old alike who have benefited from his leadership. In describing Jim Dunphy the words Committed, Competitive, Leader and Champion are superlatives that he is worthy of, however; in the words of his players “Incredible Coach” is how they describe him, a description of which he is most deserving. A native of Fox Harbour, Placentia Bay where he played his early softball, it was in Wabush that Derm Flynn made his major contributions to softball. He enjoyed a rewarding career as a player but excelled in coaching, especially in ladies ball. His efforts for overall softball within Labrador West and in a major way in Wabush, contributed a great deal to the overall success of the sport. As a coach, he introduced pitcher Patty Polych to softball and taught her the fundamentals that she used in becoming one of the top pitchers in the world. 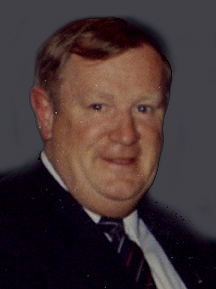 Bob French served on the executive of Softball Newfoundland and Labrador for 14 years including eight years as president. He is one of 16 individuals awarded honorary life membership in the organization. A member of six committees for special projects and national and international championships, he is credited with playing a major role in bringing the 1994 world female championships to St. John’s. He worked hard and well for the Conception Bay South Softball Association in many capacities, including president. 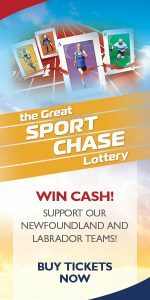 In addition to serving as president of the CBS Senior Hockey League he was chair of the Newfoundland and Labrador Summer Games in 1996 in CBS and was awarded the Governor General’s Award for his significant contributions to sport. He was inducted into the Conception Bay South Sports Hall of Fame. Art Gosse was one of the outstanding individuals to participate in the strong softball organization within Conception Bay North. His overall contributions were numerous and valuable and certainly helped the organization achieve the success that it did. In 1962, he was a member of the Spaniard’s Bay team that won the George Faulkner Trophy as the first league champions. For ten years, Dave Grimes provided exceptional leadership, mainly as a coach, to female softball in Grand Falls. 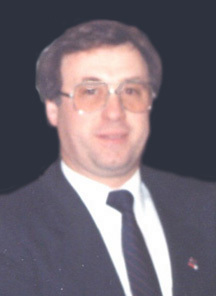 His leadership was a major factor in the success that the town’s all-stars achieved in provincial competition and in the high number of excellent players that the community produced. A member of a large family that provided all kinds of support and players for Grand Falls area athletics, is work within female softball was very knowledgeable and very important. He was simply the main cog for a very successful operation. 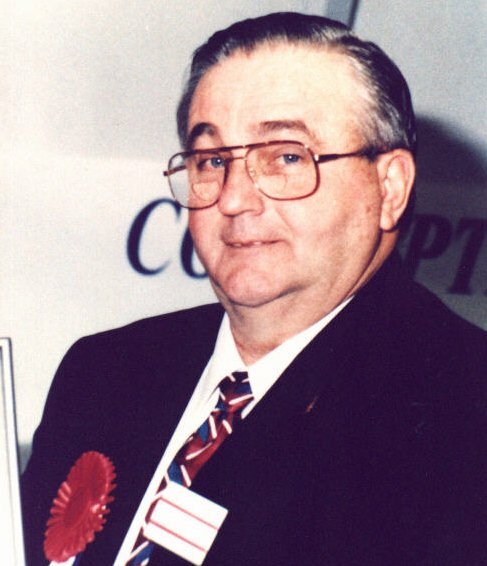 Ivan Hapgood served for 23 years on the Board of Softball Newfoundland and Labrador including four terms as president and was a director with Softball Canada for four years, from 2000 to 2004. His many contributions included active participation as an umpire, coach, and various supervisory assignments at Canadian championships. He was inducted into the Canadian Softball Hall of Fame in 2006. He played an integral role in hosting the 1994 ISF Women’s World championship and the1997 ISF Junior Men’s World championship in St. John’s as well as serving on several hosting committees for various national championships. 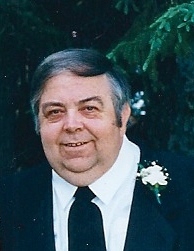 Peter Harvey was an active member of local and provincial softball for 26 years including two years as provincial president. He also filled the provincial treasurer’s role for three years and was provincial secretary for two years. He served on the Civil Service League, St. John’s Metro Umpires Association and the St. John’s Senior League executives. As an official, he was a member of the Metro Umps for 11 years and officiated at three national championships. He was a founding member of the Softball Umpires of Newfoundland in 1972. Harvey’s playing career spanned 26 years in St. John’s Senior, Commercial and Civil Service leagues. He played for six championship teams in Civil Service. He is a member of the St. John’s Softball Halls of Fame and an Honorary Life Member of Softball Newfoundland & Labrador. Len Hickey devoted nearly 20 years to softball, especially in the Dunville-Placentia area but also to the growth and betterment of provincial softball between 1974 and 1992. In all his dealings he earned the respect of softball people and established himself as a solid, informed, dependable individual who took care of his duties successfully. For ten years he served on the provincial executive and was a Placentia Inter-town leader for even longer. He was manager of the Placentia Inter-town all-stars who won the Canadian junior male title in 1975, managed the 1981 Canada Games club and filled the same position with the 1978 and 1979 Erco Pioneers who won the provincial male “A” championship. He was a member of the host committee for the 1978 Canadian Junior Male Championships in St. John’s. An amazing number of people have been able to participate in a wide range of beneficial sport and recreational activities because of the tremendous contributions of Bill Hogan. Indoor and outdoor activity, winter and summer activity, from Labrador City to Placentia and many other areas of Newfoundland and Labrador are better because of him. He was the main force in obtaining the land for the Caribou Softball Complex in St. John’s and he was the main force in the construction of an international class softball facility in Dunville. He played a major role in successful efforts to have softball teams enter and participate in competitions at provincial and national levels. In some cases he coached or managed these teams but in the majority of cases his vital backing and support were provided simply to allow young female and male athletes to have the opportunity to experience the benefits of such travel and competition. A major highlight of his athletic career took place in 1975 when he coached a Placentia Inter-town all-star team to the Canadian Junior Men’s Softball championships. Played in Saskatoon, the extremely high level competition voted him all-star coach. It was the first Canadian softball championship for the province. His national title performance is supported well by an impressive number of provincial softball championships. 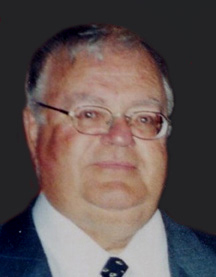 He was a valuable charter member of provincial softball organizations and was responsible for six athletic leagues and organizations being founded in Labrador City, often serving as president or chairman. Fred Jackson Jr. founded the Higher Levels Minor Softball Association in St. John’s in 1972 and he coached, umpired, scored, raised funds, constructed facilities and obtained publicity as he led the organization into expanding to a junior league and overall improvement. For 11 years his leadership and hard work was responsible for hundreds and hundreds of boys and girls having an opportunity to play softball. 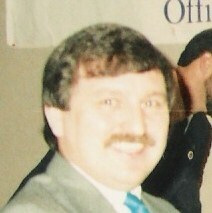 He coached the 1988 midget all-stars to a Canadian championship and was selected Canadian coach of the year. At the local, provincial and national levels he enjoyed considerable coaching success and was inducted into the Newfoundland and Labrador Sports Hall of Fame in 2005 in recognition of his outstanding contributions and accomplishments within softball. 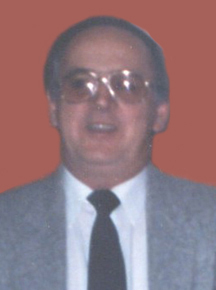 Don Johnson served as president of the St. John’s Senior Men’s Softball League from 1972 to 1976. 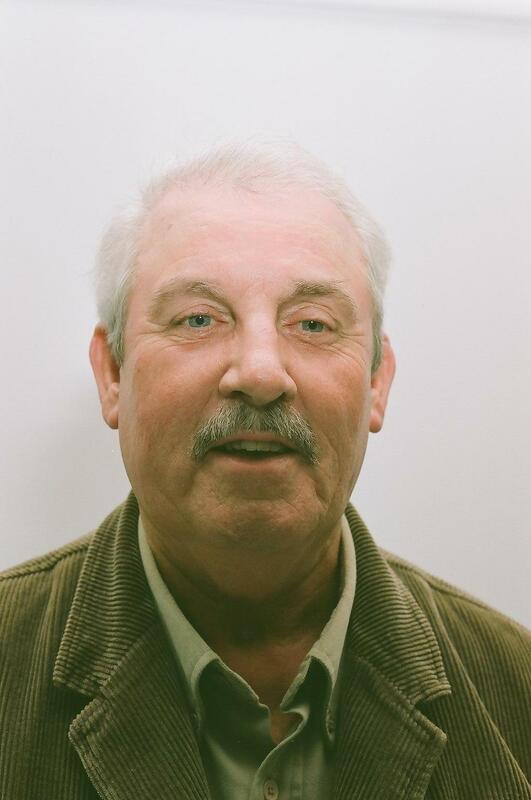 He was treasurer of Softball Newfoundland for five years from 1972 to 1976 and is an honorary life member of Softball Newfoundland and a member of the Newfoundland and Labrador Sports Hall of Fame. He is a member of the St. John’s Softball Hall of Fame. Best known for his hockey contributions, he represented Newfoundland and Labrador at three Canadian softball meetings and worked well on the hosting committee for the 1978 Canadian Junior Men’s Softball championships. Respected as one of the most knowledgeable, capable and colorful umpires in the province for 25 years, Bill Kelly conducted officiating clinics for all areas of Labrador during a 20-year period. He contributed greatly to increasing and improving the overall softball umpiring situation in Labrador. 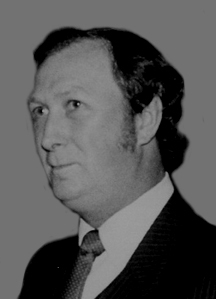 Besides serving as mayor of Wabush, he officiated at the 1977 Canada Summer Games in St. John’s, at the 1975 national senior female championships and the 1979 national senior male championships. He called many local games and officiated at more than his share of provincial championships. 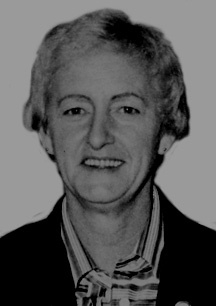 Marie Knight was the second provincial chair for female softball and served in that capacity for nine years from 1977 to 1985. Her full softball career lasted more than 40 years with outstanding contributions to female softball and overall tremendous leadership, especially in Grand Falls-Windsor. Continuously deeply involved in hosting championships and other tournaments she worked extremely hard and extremely well to bring numerous competitions to Grand Falls-Windsor, thus playing a major role in the establishment of softball in central Newfoundland. She was instrumental in securing very functional facilities within the town, thus making it a very popular location for events. She is an honorary life member of Softball Newfoundland and Labrador and holds the same recognition in Broomball Newfoundland and Labrador for her contributions to that sport. 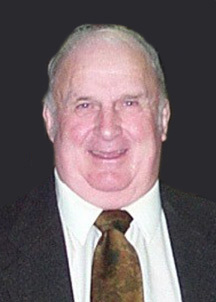 Wally Layman (St. John’s) was instrumental in the formation of the Cabot Street Athletic Association. The Association provided numerous opportunities for adults and more importantly, children to avail of athletic opportunities. In 1966, Wally was a founding member of the Inter-Street Softball League. As player/coach he captured seven Inter-Street Softball League Championships (1967, 1968, 1969, 1970, 1971, 1973 & 1974), was named Cabot Street Team MVP in 1967; captured the Home Run title in 1968, Playoff MVP in 1969 and Coach of the Year in 1968, 1973 & 1974. 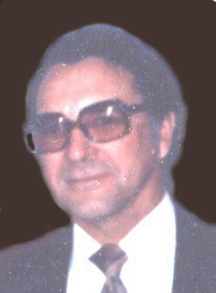 He also served on the Inter-Street Softball League Executive for six years as Secretary-Treasurer (1967 to 1972). Wally also played in the Masters Softball League for six years and was a member of the Cabot Street Championship team in 1980. Wally, along with his sister Jeanette (Jen) Adams (Softball NL Hall of Fame Inductee 2017 – Builder Category) created various successful leagues beginning in the mid 70’s. The Association incorporated various sports in attempts to foster healthy lifestyle choices for adults. In addition to the creation of the numerous Cabot Street Athletic Association Leagues for adults, the Association also sponsored many teams in various sports throughout St. John’s. His involvement as President was a dynamic force and his contributions in fundraising were tireless and unwavering in making the dream and vision of the Cabot Street Athletic Association a reality and overwhelming success. 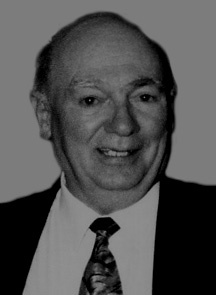 Wally was the founding President of the Cabot Street Minor Softball Association in 1979 (for kids 8-15 years of age) and the League operated for 18-years from 1979 to 1996. He was also involved with the Royal Newfoundland Constabulary in the creation of the Constable William Moss Memorial Softball Tournament in 1980. In 2000, he was awarded City of St. John’s Parks & Recreation for Building Healthy Communities Volunteer Recognition for Outstanding Contribution in Building Community through Recreation. Wally has maintained an impressive historical data of photos and information on the Cabot Street Minor Softball Association on his Facebook Page – https://www.facebook.com/wal.layman. Bernie MacNeil was one of the best workers that softball in Corner Brook and Western Newfoundland had from the 1970’s to the 1990’s. He managed a Corner Brook team that won a provincial male championship but his day-to-day support was extremely valuable to local leagues as well as to teams entering provincial or inter-town competition. His continuing contributions covered every aspect of softball and were extremely valuable. Sherry Maher started playing softball at a very young age and throughout her entire career the only game she knew was fastpitch! She played High School Softball with St. Kevin’s (Goulds) from Grade 9-12, winning MVP in Grades 11-12 and played in the first ever Girl’s division in the Constable William Moss Memorial Tournament in 1987. At the tender age of 16, Sherry started playing in the Senior Ladies Fastpitch League and she traveled with the Provincial All-Star Team to British Columbia for the Junior Nationals that same year. Sherry retired from active playing at a young age because she wanted to become involved with coaching and development. She started by coaching the Goulds U16 Bantam fastpitch team in the Constable William Moss Memorial Tournament and following that the St. Kevin’s Girl’s Team for a number of years. She then coached the St. Kevin’s Boy’s Team in 2014, 2015 and 2016. An Assistant Coach with the Goulds Bantam Boy’s Teams and several other NL Teams that travelled to the Eastern Canadian and National Tournaments, winning a Silver Medal with NL at the U18 Nationals in Gander in 2014. She was also the manager of the U16 and U18 NL Teams that traveled to the Eastern Canadians and the Nationals. Sherry organized a committee to upgrade the Petty Harbour ball field and made it into a safe, top notch facility for the youth of the area. For the past 20-years, Sherry has organized the Glen Lee Memorial Softball Tournament in Petty Harbour raising many thousands of dollars. All of the money raised was given to local charities and needy families in the community. In 2011, Sherry was the recipient of the Softball Canada Rose Hodgson Memorial Award, a National Award, given to the person who best demonstrates true dedication to the sport of Softball in Canada. 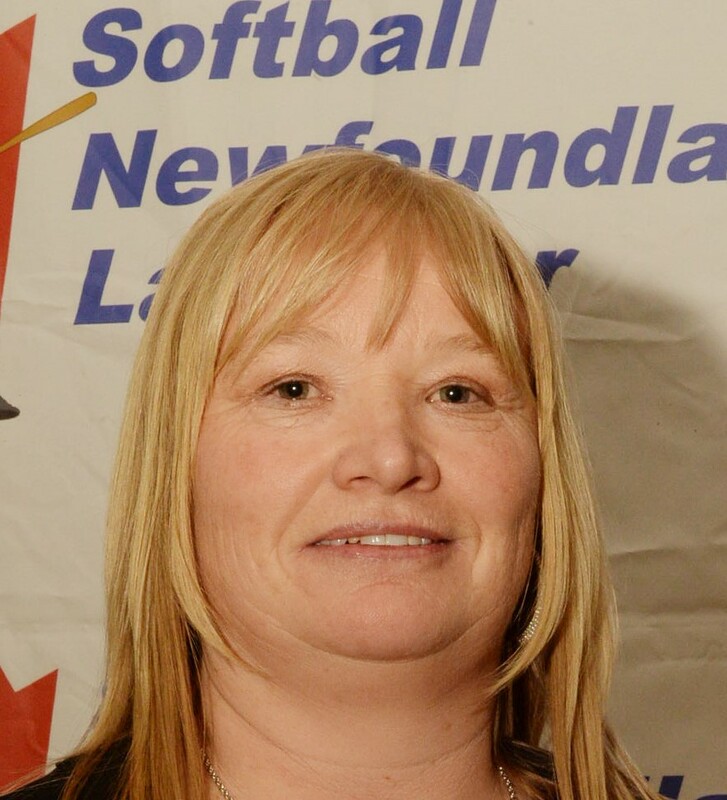 In 2012, Sherry was the recipient of the Softball NL Bob Whelan Memorial Award, a Provincial Award, given for outstanding and significant contribution to softball in the Province of NL. She was also inducted into the Petty Harbour-Maddox Cove Sports Hall of Fame in 2012. In 2013, Sherry set up two new modified, non-competitive, U10 Ballistic FUNtastic and Grand Slam tournaments whereby all participants received medals. Each year since the inception of these tournaments there have been 16-20 teams registered with 23 teams entered in the Grand Slam tournament in 2016. In 2016, Sherry was the coordinator for the U16 Boy’s Eastern Canadian Softball Championship in CBS, was appointed Assistant Supervisor by Softball Canada for the Senior Men’s Nationals and also became a member of the newly formed Softball NL Minor Softball Committee. Sherry was a key member of the Constable William Moss Memorial Softball Tournament for 8-years. Sherry was the driving force behind Minor Softball in this Province. She was the Minor Director for Softball NL, a position to which she brought new meaning and leadership. Her dedication was unequaled and was exemplified by the time, effort, and the many new programs and policies put in place while she occupied the position. A teacher by profession, she dedicated her summers for 7-years on a full-time, strictly volunteer basis, to the Minor Softball Program. During the off-season, Sherry set up Coaching, Pitching and Hitting Clinics in the Provincial Training Centre. It is fair to say that Sherry was the catalyst behind the resurgence of Minor Softball in our Province. The positive impact that she has had, not only on our game, but on the thousands of youth that have come through our system over the past number of years is immeasurable. Although she is being inducted into the Softball NL Hall of Fame, Softball NL are certain that she will continue with her mission to make our game the best that it can be. Scott Martin was the driving force behind softball being introduced to Lewisporte. In addition to playing, he served as local president, and was deeply involved in organizing softball within Central Newfoundland. His willingness to devote a great deal of time and effort to the sport was a major reason for the overall success it enjoyed in that area of the province. He was responsible for many inter-town tournaments being held, hosted several provincial championships and generally contributed a great deal to softball during its very early years as a major provincial sport. Joan Mercer was treasurer of the St. Johns Ladies Softball League for 17 years and playing-manager of a league team for 21 years. 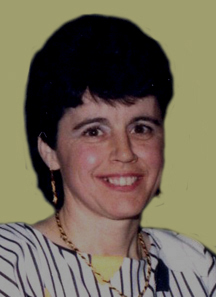 She managed league all-star teams in provincial competition and managed a Newfoundland team in a national championship. Besides being a strong first base player, she contributed a great deal to the league and teams with which she was associated. She served extremely well as a member of six host committees for national championships and she is a member of the St. John’s Softball Hall of Fame; she played on five provincial and ten St. John’s championship teams. She attended one national championship and earned two individual awards in St. John’s competition. She earned the Bette Murphy Trophy in 1982 as Female Executive of the Year for Softball Newfoundland and Labrador. Reg Mercer is best known for his valuable contributions as a coach and executive member of the St. John’s Ladies Softball League. Reg coached for 23-years in the St. John’s Senior League League, guiding his teams to 11 St. John’s Senior “A” Softball Championships, while winning Coach of the Year honors 9 times. Provincially, Reg coached five teams that won the Newfoundland Labrador Senior “A” Ladies Championships. Reg served as Vice-President of the St. John’s Senior Ladies Softball League for 15-years and 1-year as President. His commitment and hard work was well noted and he was often credited with the overall success of the League. 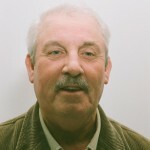 As a player, Reg played in the Senior League, the Commercial League, the Inter-Street League and the Black Horse League. Dave Metcalfe played Conception Bay South senior softball from 1955 to 1969, and he umpired for 36 years from 1960 to 1996 at all levels. 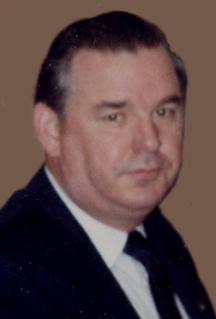 He was a CBS softball executive from 1963 to 1972. 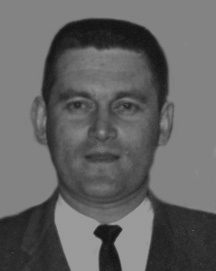 He coached CBS senior all-stars to a provincial silver medal and coached CBS minor teams from 1965 to 1968, winning the Newfoundland and Labrador championship in 1965. A member of the Conception Bay South Sports Hall of Fame, he was a founding member of the CBS Umpires Association. 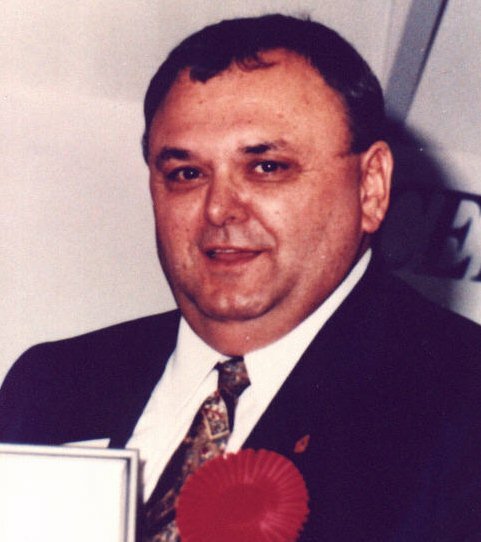 He was Commissioner of Softball Canada for Newfoundland and Labrador in 1983 and 1984 and appointed Softball Newfoundland and Labrador Umpire-in- Chief for 1988 to 1996 serving as a provincial instructor from 1975 to 1996. Bette Murphy’s softball career overflowed with accomplishments and contributions for more than 30 years, as a player, coach and especially as an administrator and team manager. 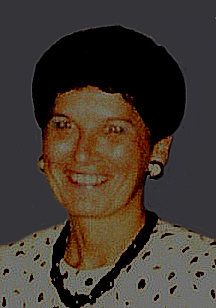 In all aspects she enjoyed impressive success and played a major role in a wide range of activities from 1960 to 1994. As a player, she won the batting title in the first provincial senior female championships in 1966 and was a member of one intermediate provincial championship club. In between these two she ran up five St. John’s senior “A” titles and seven provincial senior “A” titles. She coached one St. John’s all-star team to a provincial championship and was the first female to coach a team in the St. John’s Junior Men’s League. She fulfilled extensive managerial duties for 18 teams that represented Newfoundland and Labrador in national championships, including two Canada Summer Games squads. In addition to serving very successfully as provincial ladies chair for ten consecutive years, she filled the role of St. John’s Ladies “A” League president and secretary, and was Atlantic rep three times and Newfoundland and Labrador rep seven times at Canadian Softball meetings. She served three years on the National Advisory Council for Fitness and Amateur Sport. She also served on several hosting committees for national championships and was PR chair for the 1994 World Women’s championships in St. John’s. For more than ten years Betty Murphy served softball extremely well, especially the very active Kilbride minor softball organization. She worked long and hard in just about every position with the group on a day-to-day basis with an effective hands-on approach. It was this approach that provided great leadership in the impressive successes that the organization enjoyed. Her work and dedication was recognized in 1988 when she was awarded the Bernard Connolly Memorial Trophy as softball’s minor executive of the year. 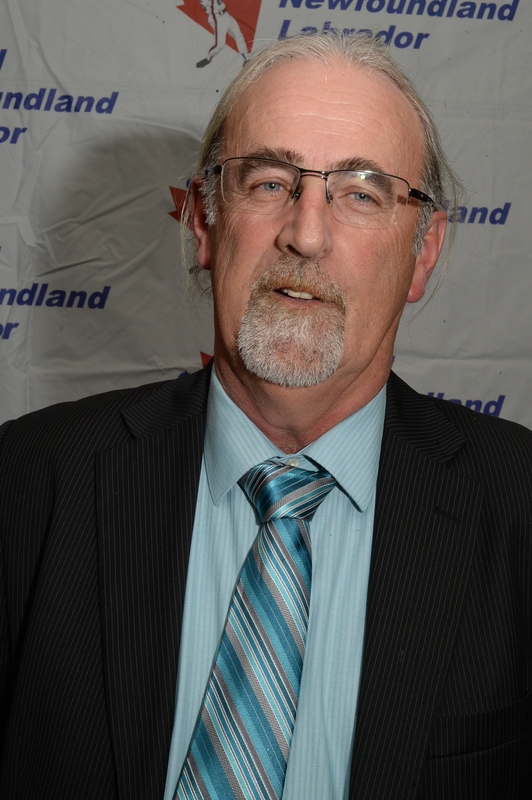 His success within softball especially, backed by his overall contributions to sport, had Dee Murphy elected to the Newfoundland and Labrador Sports Hall of Fame. He was the first provincial softball president, serving for 13 years, and was elected a vice-president at the first meeting of Softball Canada. He coached locally for 25 years, took teams to 11 national championships and was associated with numerous softball events and organizations. 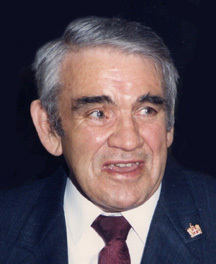 Softball Canada recognized his contributions in 1982 awarding him one of only seven honorary life memberships. He is a member of the national, provincial and St. John’s Softball Halls of Fame. His contributions on the executive level, often as president, have benefited various hockey, baseball, soccer, rowing, bowling and table tennis organizations at the local and provincial levels. He served three years on the National Advisory Council for Fitness and Amateur Sport and was St. John’s Athlete of the Year Selection chairman for 29 years. For more than 45 years Dee Murphy has been associated with numerous organizing committees for a wide range of sports at every level, including the 1977 Canada Summer Games. Most of his contributions have been within the public relations and media fields. He received a Celebration 88 Certificate of Merit from the Government of Canada, in recognition of his contributions to the community. 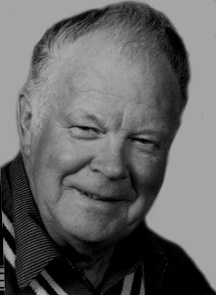 Because of his great contributions to softball, Dee Murphy was inducted into the Newfoundland and Labrador Sports Hall of Fame November 2, 1985. Ray Noel’s 22-year softball career is overflowing with contributions in every aspect of the sport. As an umpire, executive member, coach and player he enjoyed exceptional success because of his hard work and willingness to devote a great deal of time and a great deal of expertise in all facets of softball. His softball expertise came to the forefront in 1985 when he coached the St. John’s Labatt’s Junior 50’s to a bronze medal at the national junior championships. 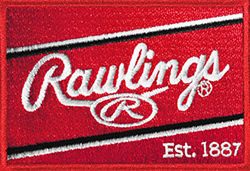 He was a major factor in the success that the Junior 50’s organization achieved overall in hockey as well as softball. For 18 years, he made great contributions as registrar or commissioner for Softball Newfoundland and Labrador, and he was especially effective as registrar and was universally regarded as an honest contributor who called it like it was. He continued these characteristics when he served on organizing committees for six national and two world championships in St. John’s. 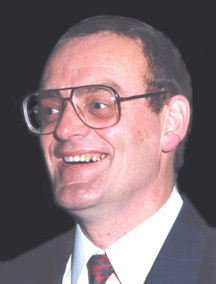 He was elected provincial sports executive of the year for 1992. He was inducted into the St. John’s softball hall of fame in 1990. He was a leader within the officiating aspect of softball, playing a major role in the overall improvement of the umpiring situation during the 16 years, from 1972 to 1987, that he earned great respect for his knowledgeable and unbiased performance on the diamond. He umpired at two national championships and served extremely well as an executive member of the St. John’s Umpires Association for 12 years, including seven years as president. His softball career began in the St. John’s Mercantile League where he played on nine championship teams, was named coach of the year for 1973 and served as president or treasurer for four years. His participation in fund raising for the St. John’s Maple Leafs Foundation was extensive. 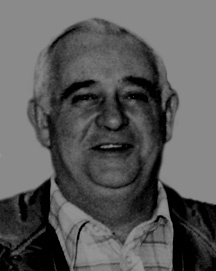 Jim Nolan was a valuable pioneer in Newfoundland and Labrador softball, starting within the Placentia Inter-town League where his contributions were very important in the foundation of that operation and moving quickly into the establishment of softball as a large and permanent sport within the province. He coached and managed numerous successful Placentia Inter-town teams including provincial junior champions in 1964, 1965, 1966 and 1968. In 1968 he led the Placentia All-stars to the title in the very competitive Atlantic Brewery Labor Day invitational tournament. He fulfilled a wide range of demanding responsibilities with a large number of teams during the 1960s and into the 1970s while making other contributions as an executive member of several softball organizations. 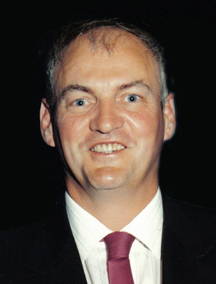 Larry O’Quinn was an exceptional leader during the 20 years that he was associated with softball in Western Newfoundland. In Corner Brook, he was a star player and very, very effective executive administrator. 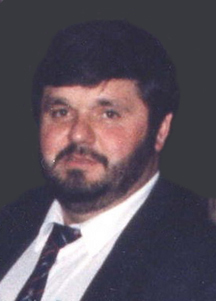 Between 1986 and 1995, he served well on the executive of Softball Newfoundland and Labrador. Bob Seaward first became involved in softball in 1969 and served on the Corner Brook senior men’s league executive until his retirement in 1986. He was western regional director of Softball Newfoundland and Labrador for six years, 1977, 1978, 1982, 1983, 1984 and 1985. He served as Western Newfoundland umpire-in-chief for many years and was founder of the Corner Brook Umpires Association which had more than 50 members at its peak. He umpired at 1981 Junior Ladies Nationals and at the 1986 Junior Men’s Nationals, besides calling numerous local league and provincial championship games. An all-star center fielder during his playing days, he was a member of the Corner Brook team that won the provincial senior men’s “B” championship in 1970 and starred for years in the local Corner Brook men’s league. In 1971 he was named Softball Newfoundland and Labrador Male Executive of the year. Gordon Snow’s important contributions to minor softball in Newfoundland and Labrador, especially to Conception Bay North covered a 15-year period. He worked extremely hard on a continuous basis while filling executive and coaching roles. Minor softball was simply better overall because of his involvement. 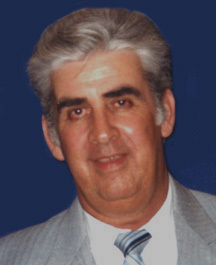 For six years, between 1975 and 1980, he worked as minor chair for Softball Newfoundland and Labrador and was rewarded with an honorary life membership in 1980. Tom Spurvey was the driving force behind softball becoming a permanent and extremely popular activity in Fox Harbour in the 1950’s and through the 1960’s. His contributions and determination to the community and the sport was outstanding and was the foundation upon which the tremendous success of Fox Harbour softball players is built. 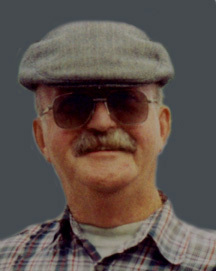 Doug Stokes was a true builder of softball, acting as an important sponsor and thus making it possible for hundreds of players to participate and enjoy the game. One of the province’s leading business men, he clearly demonstrated his concern for the province by his support for several sports, especially softball. For five years Stokes minor men’s team was his main softball thrust backed up by financial support that allowed four senior men’s teams to represent the province in Canadian championships. As a backer of junior ball, he was a key factor in exceptional success for two national entries and his overall support for minor softball paid dividends for Newfoundland and Labrador nationally and produced players who helped Canadian teams in world competition. He played a major role in the construction of permanent television broadcast facilities at the softball facility at Lions Park in St. John’s. 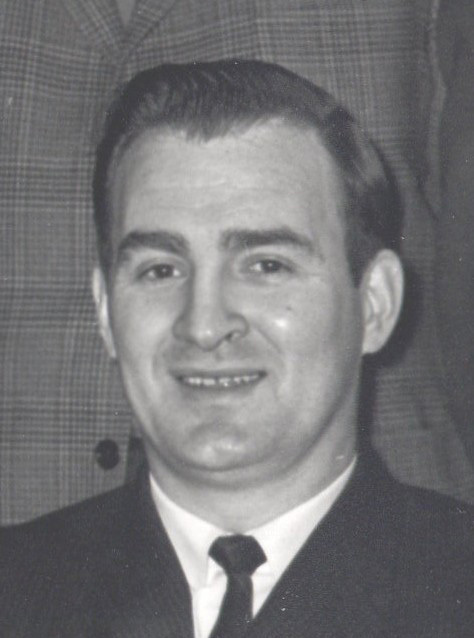 Terry Trainor served for 10 years as president and four years as secretary of the St. John’s Men’s League, managed Newfoundland teams for ten years in national championships and served on numerous committees and executives, including Softball Newfoundland, during a 14-year period. For his softball contributions, combined with his contributions to hockey and baseball, he was inducted into the Newfoundland and Labrador Sports Hall of Fame in 1988. Gerry Veitch started his outstanding softball executive career in the Waterford Valley area of St. John’s and expanded it to include important and valuable contributions to the sport at the provincial, regional and national levels. His tireless efforts on behalf of the sport, especially the minor division, resulted in two selections as provincial softball executive of the year. It was as a dedicated and determined executive that he made his most important contributions to softball, including four years as provincial minor chair. 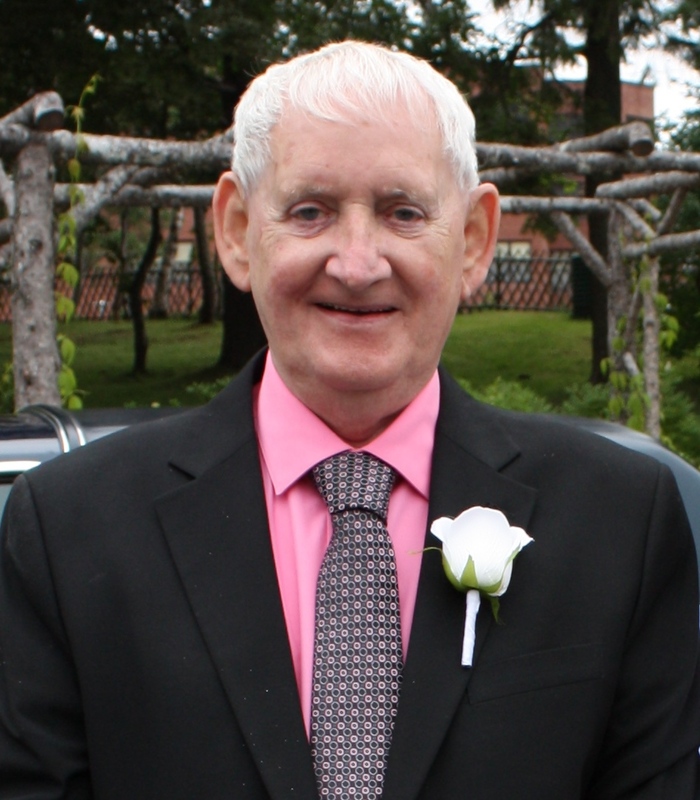 He was president of the Waterford Valley Softball Association for 15 years and played a major role in providing facilities and programs for hundreds of youth. His contributions were vital in establishing associations for inter-city minor play. A member of two hosting committees for major championships, he chaired two Eastern Canadian championships. He played softball for 12 years prior to moving into the coaching aspect of the game. For six years he coached Waterford Valley teams from pee wee to senior female and in this area he demonstrated great concern and expertise that was of outstanding benefit to a very large number of young people. He played for the 1967 City Hall team that won the Civil Service championship. Jackie Walsh earned the title “father of St. John’s softball” for his exceptional actions during the 1940’s and 1950’s. It was while serving as director of the St. John’s Playgrounds Association, a group greatly supported by the St. John’s Lions Club, that he organized a wide range of softball leagues and competitions. 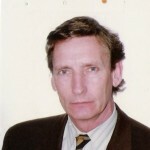 He was solidly supported by Neddy Outerbridge, who headed the association. In the early 1940’s he put a female softball league in place that included teams from Victoria and Bannerman Parks and in 1948 he organized an inter-city midget boys softball league for the youth of all three City parks. It was in 1948 that he put a second female league in place that lasted until 1954. In 1960 he again started a softball league for female players. It was in 1957 that he organized the first game and then series of games for St. John’s men and he was a main mover in this league continuing into the St. John’s Senior Men’s “A” League that has existed for more than 50 years. While his actions really led softball into a permanent spot in St. John’s sports, he was also responsible for little league baseball becoming permanent in the City and played a major role in senior baseball returning to St. John’s in 1947. Robert Whelan provided valuable and vast contributions to the softball community at large and softball youth in particular. Strictly on a volunteer basis he has devoted tremendous amounts of time to benefit other people. During the 1960’s, 1970’s and into the 1980’s it was Robert Whelan’s leadership that made it possible for hundreds and hundreds of young people from the Kilbride area of St. John’s to enjoy and benefit from a full summer recreation program, especially a minor softball program. After his retirement, he utilized his expertise to benefit young people in Branch with similar programs as he did in Kilbride. This work earned him a special award from Recreation Newfoundland and Labrador. The manner in which Robert Whelan organized these valuable local activities was extremely high class. Sportsmanship, fairness and honesty were stressed and the overall programs were excellent role models for all those who participated in them. His softball contributions were of the day-to-day variety and included obtaining facilities, heading fund raising, attracting the correct type of volunteer co-workers and generally making certain that the young people involved were learning the correct approach to sports and life in general. 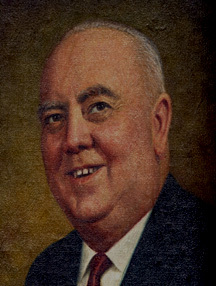 In addition to his contributions at the local level, Robert Whelan played a major role in the establishment of the provincial softball association, especially the minor division. Robert Whelan has been a credit to his family, to his volunteer groups, to his church and especially to himself. 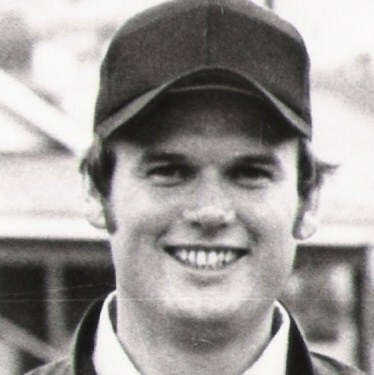 Don Winsor had a softball career that lasted from 1965 to 1980 which included playing, coaching and administration in several areas of the province. While he played some softball in his native St. John’s it was in Labrador City that he really became seriously involved with the sport. He played and coached with the 1966 Labrador City Carol Lakers who won the provincial senior “A” championships and coached Gander All-stars to a provincial senior “B” championship in 1969. He was chair for the 1969 Atlantic Senior Ladies “A” championships in Gander and played a major role in the development and expansion of softball in the Eastport ara of the province. 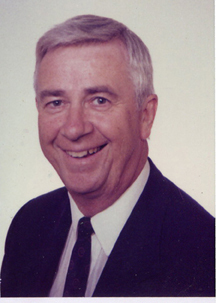 He served on the executive of Softball Newfoundland and Labrador in 1969 and 1970. Malcolm “Max” Winters has played a valuable and extremely important leadership role in every worth while sport and recreation project in Happy Valley-Goose Bay during 50 years. Extremely dedicated and extremely capable, his vital volunteerism has greatly benefited Labrador in particular and Newfoundland and Labrador in general. 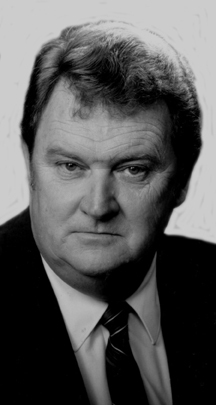 He was a member of the provincial executive from 1981 to 1984. Working to obtain much needed facilities, introducing a very wide range of worthwhile projects and events, providing successful leadership in an impressive number of sport and recreational activities and simply contributing overall to an endless number of beneficial programs for the community in which he lives, have become the reputation by which he has become known and respected. His outstanding contributions to the betterment of community life have been recognized by a very large number of people and organizations. 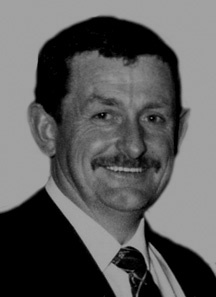 He was a recipient of the 2001 Newfoundland and Labrador Volunteer Medal, named honorary chair for the 2005 Labrador Winter Games, selected as male aboriginal coach of the year for 2002, voted the 2001 Pitcher Plant Award winner in recognition of his work within recreation and nominated for the national Therese Casgrain Volunteer Award. He has been deeply involved in community living in Happy Valley-Goose Bay since 1960 and has contributed greatly at the provincial and national levels, mainly in softball. Organizing, coaching, officiating and generally leading a very wide range of sport and recreation happenings, he has simply been a very, very important resident of Happy Valley-Goose Bay and thousands and thousands of individuals have benefited greatly from his contributions. And his contributions continue in an endless fashion. His first contributions started in 1960 and during 2004 he headed a growing minor softball organization and continued to be a valuable member of the committee responsible for the 2003 Labrador Winter Games. In 2007 he was inducted into the Order of Newfoundland and Labrador. Malcolm “Max” Winters owns a life that is overflowing with good works and beneficial contributions and there doesn’t seem to be any end to his great volunteerism. Gary Wiseman owns an impressive record of contribution and accomplishments within Western Newfoundland Softball, especially in Corner Brook. His devotion to softball in that City is an example for all sports volunteers to follow. Determined to work for the expansion and improvement of softball, he served for eight years on the executive of the mammoth 36-team Corner Brook Men’s League. It was around the same period that he had a major influence on the establishment of the Corner Brook Umpires Association serving as an executive member. He worked hard on the committee that raised $35,000.00 for diamond lights and he sponsored a team in the Corner Brook League. He was an executive member of Softball Newfoundland and Labrador for three years from 1999 to 2001.